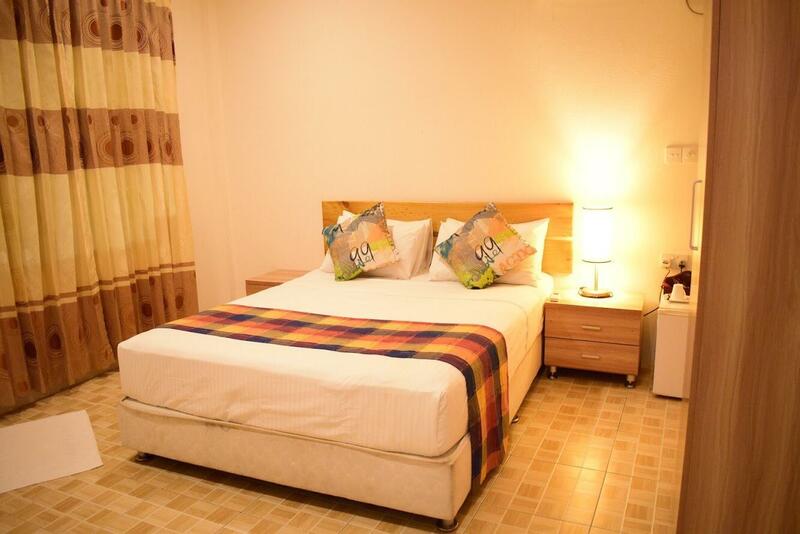 Big, spacious and clean room with comfortable bed. Homely and cozy, very simple residence. Nice and helpful people. 5-7mins walk to jetty and 3mins to the beach. Wifi only works for rooms near dining area, other room guests need to go to dining area to be able to get connected to wifi. Would come back again. 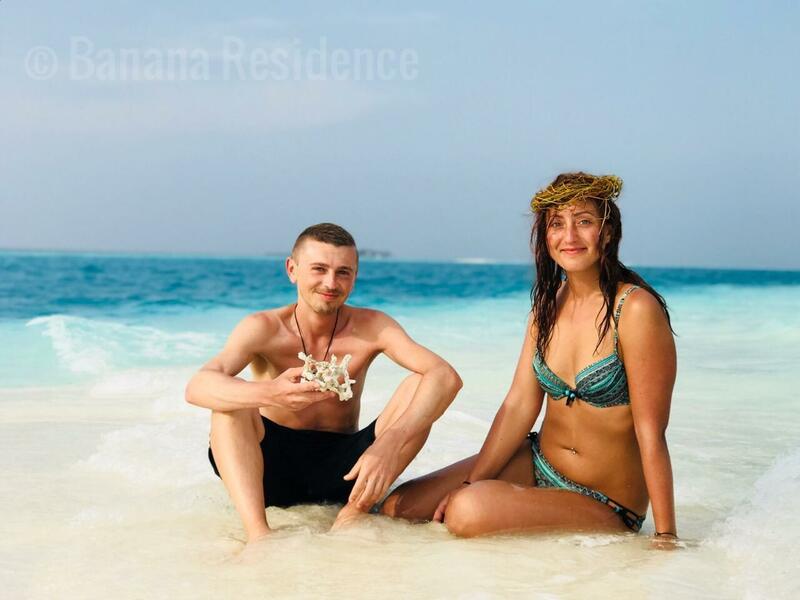 You are in Maldive or you take 5 star hotel or you accept to stay in local guest house. Is clean and big room. A/c and frigo. Simple and kind people can help you to do best choice. Of course everything’s expansive but we know this is Maldive!!! I spent 2 nights here! The staffs are very nice and helpful! My room is spacious and clean! I highly recommend this guest house! you still can make reservation online in many different websites, but when you get there they take you to the Shallow lagoon guest house and tell you that Banana Residence is closed. and they can place you in another guest house, which is a small accomodation behind the Cafe Ole, called Cafe Ole Ramoli. it is a place with 4 double rooms, a small garden, clean and new. but the owner is the same owner as the Cafe ole and he is very rude. 1 night the guests in other rooms from Indonesia were very loud until 2 am, so I finally nicely asked them to keep it down. the next another guest also mentioned this to the owner. The Indonesians however, complained to the owner. Until that day the owner was very nice, said hi every day and asked if everything is ok. But suddenly after the complaint by Indonesians owner fully ignored me and the other guest. 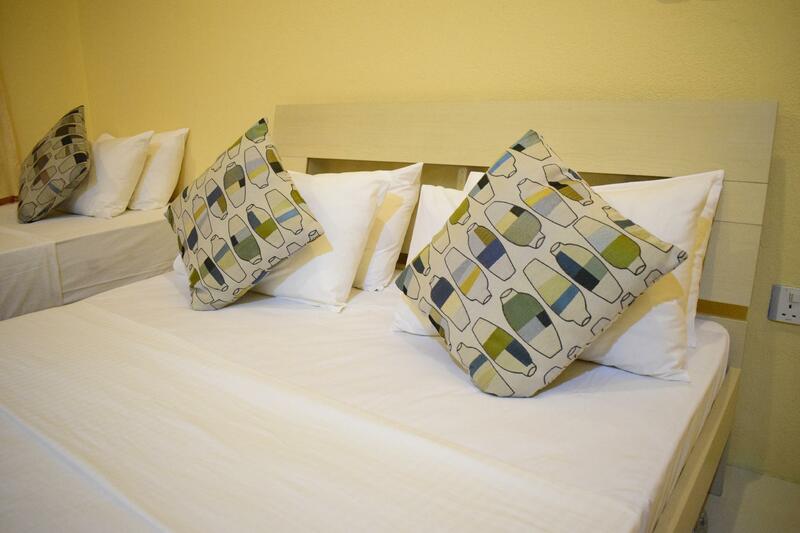 Very good hotel location, great service, full breakfast. Excellent value for money (7 years experience traveling in Asia). I research my accommodation very carefully before making a choice. The Banana Residence on the website shows block one. If you are accommodated in the newer block two, you will be sadly misled. Block two consists of 6-8 inward facing rooms which are dingy and airless. It is extremely noisy as all rooms lead onto an echoing corridor. Neither the TV or Wifi were working although staff made plans for us to use neighboring guesthouse wifi. Staff were VERY relaxed. No housekeeping whatsoever in three days ( apparently in was a holiday period in the Maldives ) Breakfast ranged from really good to utterly horrible, you have no say in this, you get what you get. Rashdoo itself was good although tour prices on the high side. We landed up organizing our own thing as the guesthouse staff could not provide what we wanted - needless to say at the fraction of the going cost. Take a paddle out to the unfortunately filthy picnic island, the reef there is amazing. Pros: good location, nice Maldivian breakfast, good tours, nice hot shower, free water and tea. Cons: staff were not at reception 24/7 to assist, wifi and tv were not functioning during most of our visit, bad rates at this hotel when paying in local currency rather than US dollars (worse than bank rates). Even honeymoon or family or other, you are choose Banana Residence ! Staff manner, Environment cleanliness, Peaceful place . The hotel quiet silent and suitable for vocation. The room facilities need to improved like no electricity hot pot, mini bar..etc. Loved my stay at Banana as the family owned and operated vacation guest house exceeded all my expectations. Activities in which one of the family brothers orchestrated were great and well planned. I would stay here again. Great experience, very nice people, and very comfortable living.